The future of home design is in a box. At least, that’s where 100 Stanford University students are placing their bets. They’ve constructed a mechanical room that powers a house like the engine of a car. 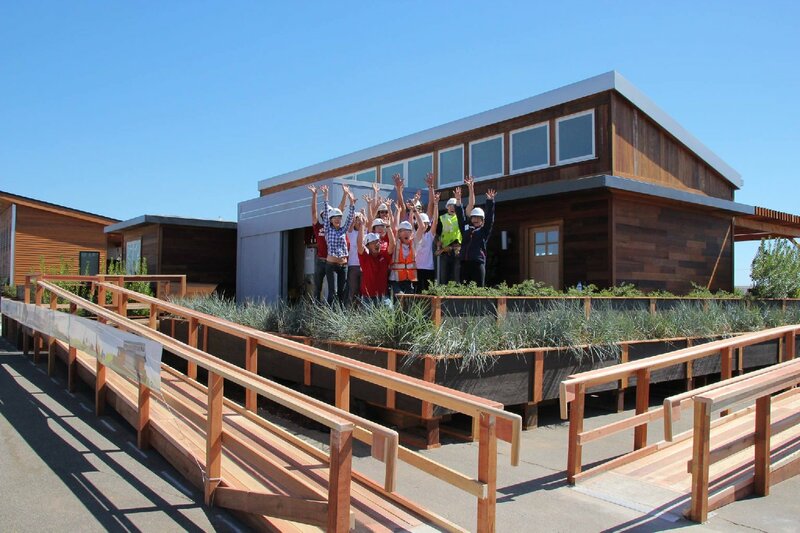 The students have spent thousands of hours over the past two years designing and creating a prefabricated home on campus that they hope will win top honors at the U.S. Department of Energy’s biennial Solar Decathlon Competition that kicks off in Irvine, CA on Thursday. Every two years, hundreds of teams from around the world submit proposals. Only 20 teams, however, are invited to compete in the home-building event. Although there is no official prize, placing first in any one of ten categories all but guarantees a job offer from a prestigious architecture firm. The DOE provided $100,000 in seed funding for each team and Stanford fund-raised an additional $1 million for construction, labor and material. Ouyang values the house at about $250,000. Three other California teams, including Santa Clara University, the University of Southern California and Southern California Institute of Architecture and California Institute of Technology, are also competing in event, which runs through October 13. This is Stanford’s first entry in the competition. Participating students have backgrounds in everything from computer science to product design. More than 100 students participated in building Stanford’s “Start.Home”, though roughly 20 have worked continuously on the project. None of the students had ever built a house before and many had never even hammered a nail. 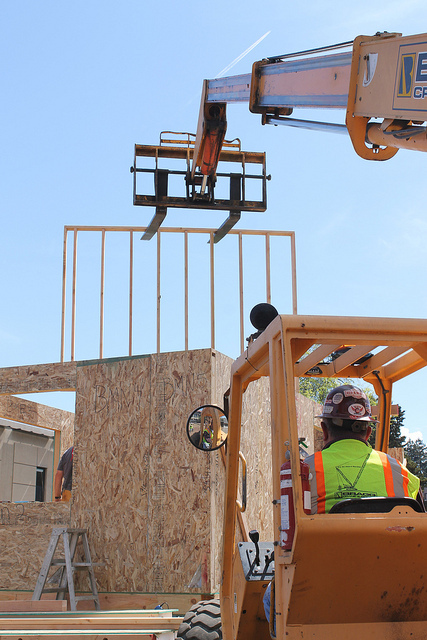 To fulfill the DOE requirements of a creating 1,000 square foot solar-powered home that is attractive, affordable and energy-efficient, Stanford decided to rethink how prefabricated homes are designed. 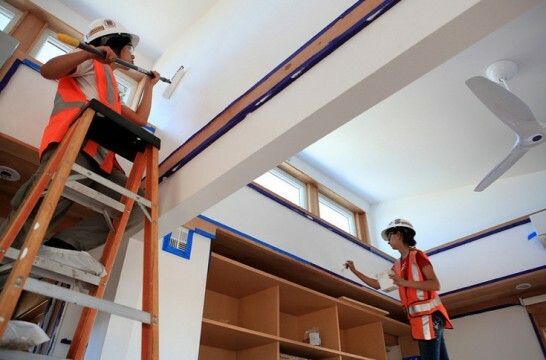 Though most prefab homes come in a limited number of sizes and styles, Stanford’s team decided to create a house that could expand to meet a family’s needs. By building a unit that contains a majority of the house’s mechanical, electrical and plumbing systems in a “core,” the homeowner could build rooms around this central fixture. The 180 square foot core attaches to a kitchen counter and appliances, a bathroom and a laundry room, so all that’s needed, the students say, are additional living spaces—as many as the homeowner desires. “With this design everything arrives on site ready to go,” said graduate student and construction team leader Rob Best. Stanford’s main innovative is a “core” that powers the house like the engine of a car. The core has a pump that filters used water from the kitchen sink and shower (known as graywater), and sends it to a vegetable garden in the backyard. And a special layer of paint covering the core removes nitrogen oxides –major components of smog–from the air. Ouyang said it’s the equivalent of removing two cars from the road every day. Solar panels cover the roof of the house so that the home is a net-zero energy building, which means it generates all its power from the sun. To make the house even greener, the students salvaged wood from old homes in the Bay Area for the walls and floor, and put a living wall made out of plants in the bathroom to purify the air. In order to encourage sustainable behavior, the students installed an iPad on the wall of the core that tells users about their water and energy consumption. It allows the homeowner to set goals and compare his or her energy use with neighbors. “Most people actually want to behave in a more sustainable way, the issue is just convenience,” said alum and design team leader Jason Bade. Making the invisible visible was a key part of the team’s strategy; the outlets on the walls glow red if they aren’t turned “off” and the team created a central switch that prevents energy from going to the sockets when appliances are not in use. The students built the home on campus, then took it apart and moved it to Orange County Great Park for the competition, which was no easy feat. The handicap ramp leading to the entrance was too steep in some sections and the students had to rebuild it on-site in Irvine. Additionally, the contest coincides with the first week of classes. Ouyang said very few students traveled to Irvine, making re-assembly quite difficult. After the competition, the Start.Home will be re-assembled on Stanford’s Jasper Ridge Biological Preserve and provide a new home for the resident ranger and his family.